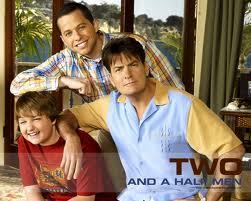 I don’t know if this is a good move, but Ashton Kutcher is joining the cast of the TV show “Two and a Half Men”. He’s not taking over the role of Charlie, but instead is being added as someone new moving into the house. I still think Robe Lowe was the perfect choice to replace Sheen, and was sad when he turned down the role because of his childhood and family friendship with Sheen. There was one other actor poised for the role, Hugh Grant, but I didn’t feel he fit into the show at all. Now, seeing Kutcher in it, I’m starting to second doubt my opinion about the Grant suggestion. Check my previous posts (here, here, here, and here) about how Two and a Half Men got cancelled, on account of Charlie Sheen’s weird behavior. Rob Lowe Replaces Charlie Sheen in 2 and a Half Men? 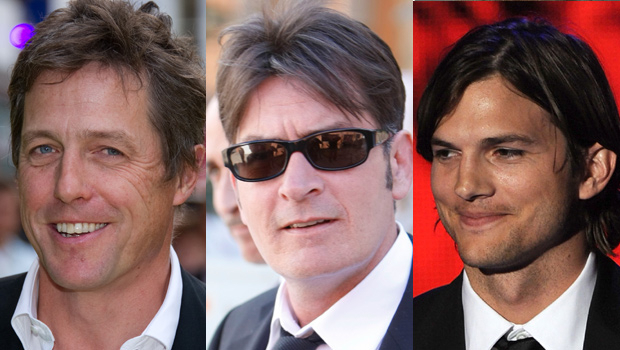 Charlie Sheen has been fired from Two and a Half Men. The show’s producers started talking to Robe Lowe to replace Charlie’s character on the hit show. I think Rob is a brilliant choice. I could totally see him as a very Charlie on the show. This is a clip from the past week’s SNL episode. The TV hit show, Two and a Half Men, has been cancelled for the remainder of the season. No word so far to if and when it will ever return again for a new season. The show’s star, Charlie Sheen, has picked a fight with the show’s creator, and has even called him some very nasty words. This forced the show’s creator, AND CBS and Warner TV to cancel the remainder of this season. Sheen was already partying way too hard. He got admitted to both hospital and rehab after one particularly hard partying weekend. This is such sad news, the show is one of my favorites. And Sheen is currently the highest paid actor in TV history, bringing in $1.25 Mil per episode. This is the short version of what happened to Charlie Sheen in a hotel room with a p***…. (feel free to complete the dots yourself).